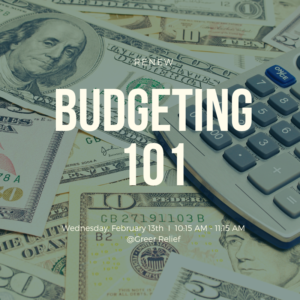 Join us and get your budget right for tax season! 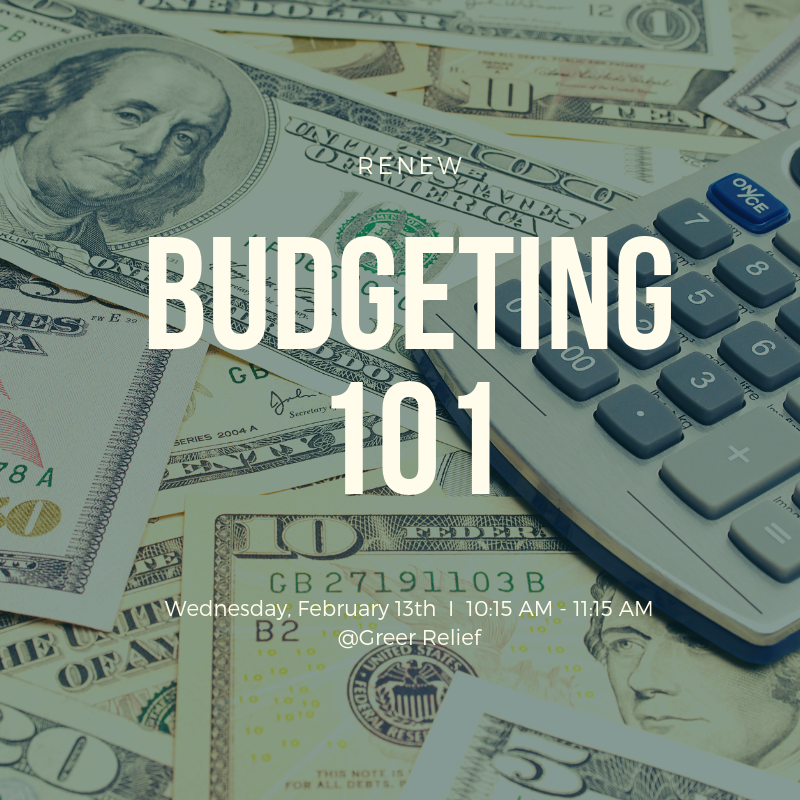 This class will be held on Wednesday, February 13th from 10:15 AM – 11:15 AM at Greer Relief. Only participants 18 and older are eligible to receive a RENEW Reward for participation. Register here.